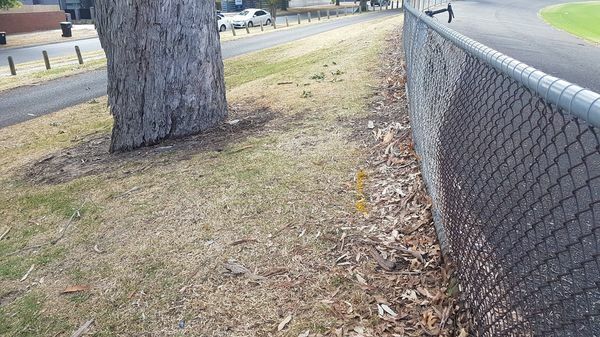 Greater Dandenong Council says the yellow painted line on the ground between the tree and the velodrome is part of "preliminary works" only. Greater Dandenong Council says a towering heritage-listed tree metres from Maurice Kirby Velodrome will not be damaged during the cycling track’s demolition. With the track set for removal in days, the council has assured that the 250-year-old River Red Gum tree will be buffered from works by a 14-metre tree protection zone. The remnant tree stands about two metres from the track’s south-west flank. It is listed as in good condition, 22 metres tall on an embankment that supports the cycling track. According to a National Trusts of Australia website, the tree is listed as regionally significant. It was in a “unique location or context and so provides a contribution to the landscape”. 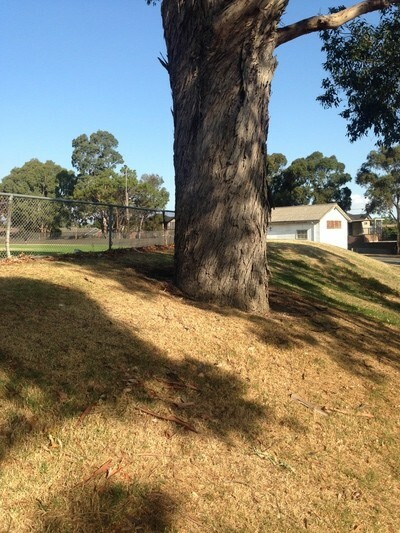 Supporters of Save Noble Park Velodrome have raised concerns that the demolition works will damage the tree’s long-established root system. Despite a sustained protest campaign, the cycling track is being demolished as part of Greater Dandenong Council’s masterplan to upgrade Parkfield Reserve. It will make way for a shared path and an extended cricket and soccer field, as well as a new multi-sport pavilion. The masterplan states that the gum tree needed to be protected. Greater Dandenong Council’s acting engineering services director Craig Cinquegrana said there was expected to be “no impact” on the tree. “Given the mounded area around the tree will be retained and only the asphalt removed, it is expected there will be no impact on the tree itself. “There is no risk to the health of the tree as part of the current works. Mr Cinquegrana said a yellow painted mark between the tree and the velodrome was “part of the preliminary set of works”. The removal of the track’s asphalt and sub-base would begin early in the week starting 25 March.